This question has come up frequently. Here are some answers I have posted before. A pilot figure created by our own Doug Cohen. 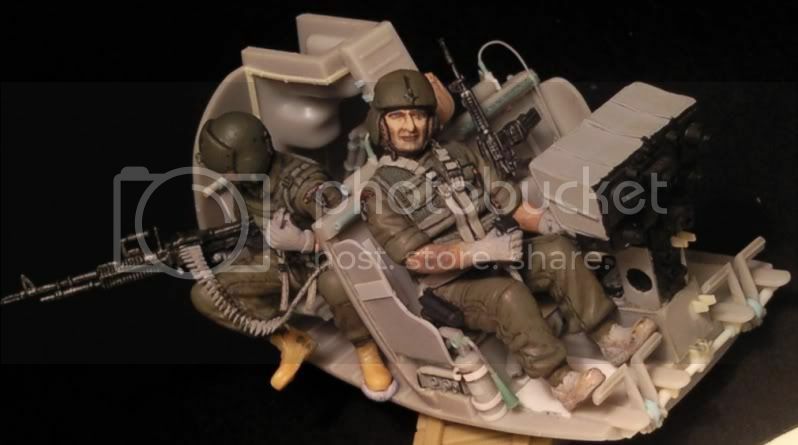 It comes with a couple different head/arm options to make a Vietnam era pilot with SPH-4 helmet standing with an arm propped against his helo. Modern CH-47D crew. Set of crewmen and a couple of Soldiers for their CH-47D. The aircrew are wearing the current HGU-56 helmet as worn by the USAF and US Army crewmen. The Soldiers look like they could be used in any OIF scene as well. It also includes a display base and a cockpit for use in making a diorama. Vietnam CH-47A Crew. It includes 2 seated pilots, a standing Crew Chief, and a standing ground crewman. DML has a pretty nice Vietnam era crew. It comes in and out of production as DML sees a need for them (or something like that). They can be found from time to time on eBay as well, but can go for a high price there. They are now included in the Dragon (ex-Panda) UH-1D Huey kit as well. Nemrod has a modern MH/HH-60G crew set. And a set of a couple of guys that look like a crew chief and a AF PJ. 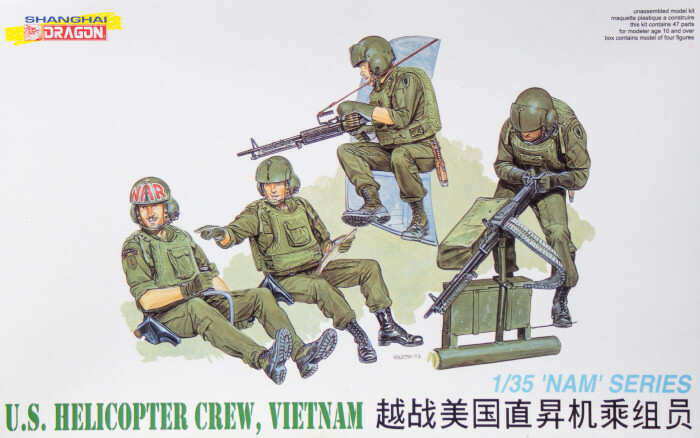 Same CMK set as a Vietnam era UH-1D/H crew, which they are more suited for due to their "Chicken Plate" body armor. Vietnam UH Door Gunners. They look promising, sort of. The M60 gunner would be fitting for a UH-1B/C or an OH-6A as a free M60 door gunner. 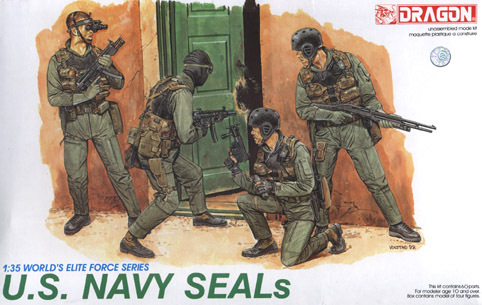 The other figure is a grunt with an M16A1 wearing an M1 helmet, not a door gunner at all. 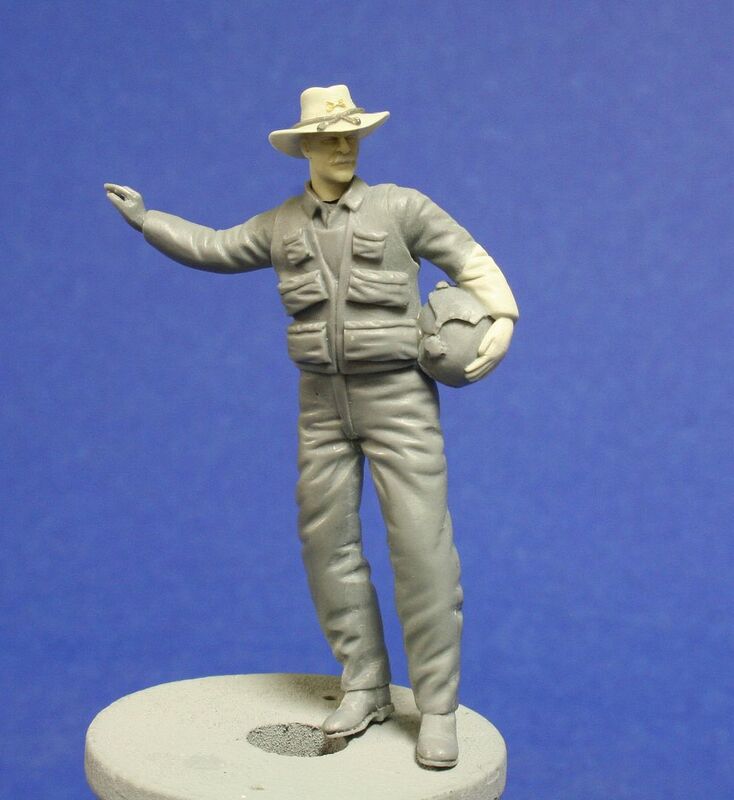 Verlinden made/makes a standing US Cobra pilot as well. Pretty good figure w/ flight suit and survival vest. 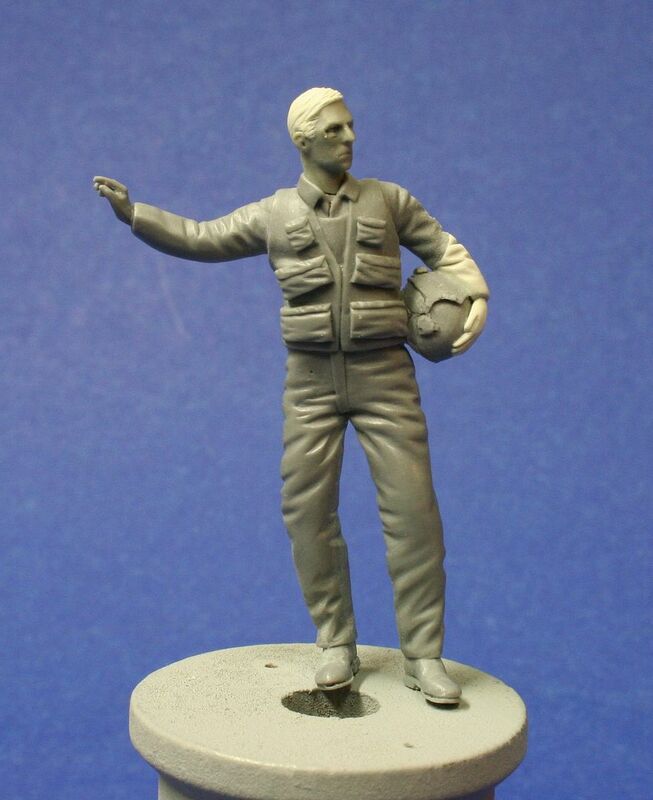 It is closer to 1/32 (54mm) though, or he is a really tall pilot. 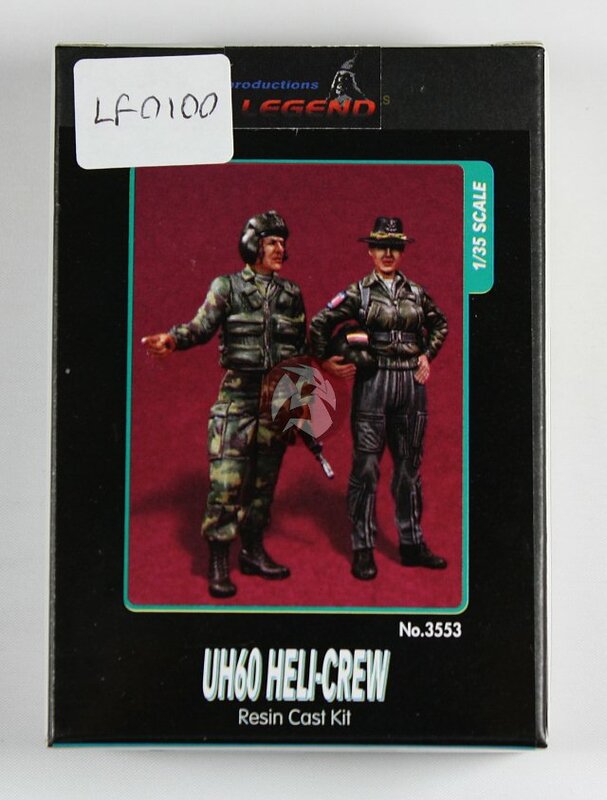 Coree (sometimes under the Dynasty or Legend names as well) has a set of 2 resin figures called UH-60 Helicopter Crew: 1 helmeted male w/ M4 carbine; 1 female wearing cavalry hat. It is kinda hokey, female is in image of Barbie, she doesn't look too realistic. Male is wearing nomex ABDUs (Aviator BDUs) though. Kirin from China also had a couple sets, but both are long OOP. 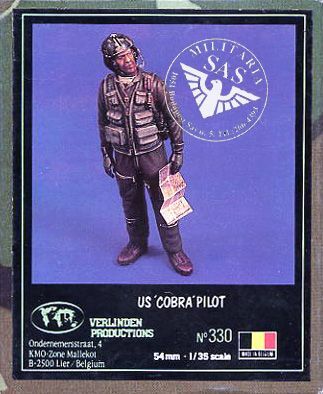 One was a set of Cobra pilots from ODS. The second was a set of crew chiefs loading ordinance. ADV/Azimut has a set of Helo pilots listed as US Helicopter Crew for Huey, Cobra, Apache. They come with both the older, standard SPH-4 helmet and the IHADSS (Integrated Helmet and Display Sight System) for the AH-64 Apache. The set includes one seated and one standing pilot. They look pretty nice. 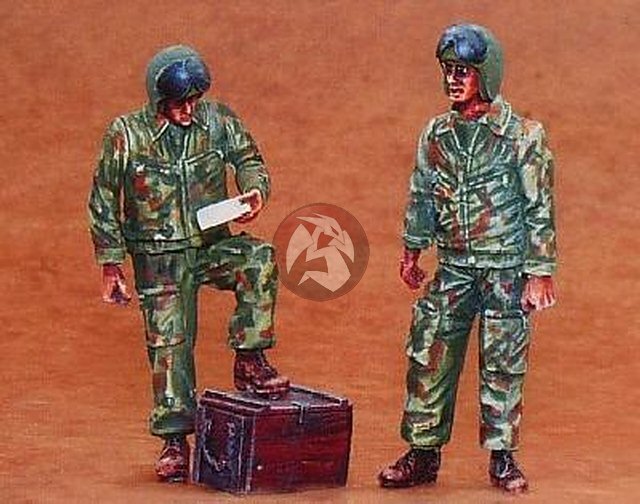 Evolution Miniatures out of Russia have recently released a figure listed as an American Helicopter Pilot, Vietnam as the first figure in a “Fight at Damaged Helicopter” series. Hopefully we will see more from them. 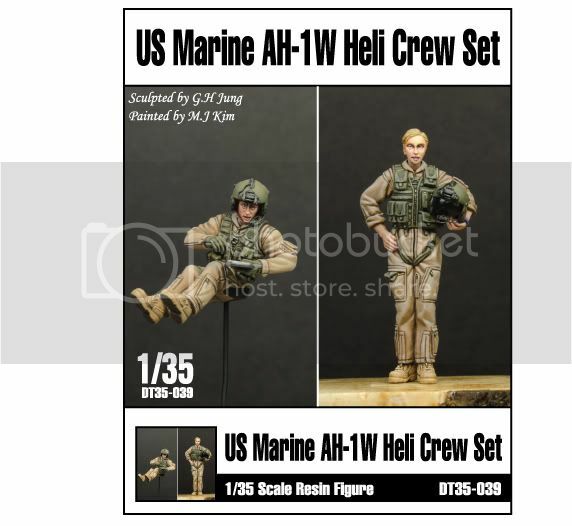 DToys out of Korea has a new USMC AH-1W Heli Crew out. They look pretty nice. The standing female pilot looks a little stiff though. Also, some kits come with good crews. UH-1C kits, you get a pretty good 4-man crew from Vietnam era. OH-58D kits come with a good modern 2-man crew, probably the best modern ones out there. They also come with molded on seat belts as well. Very nice. 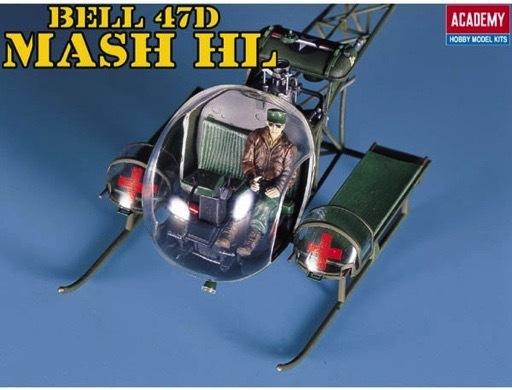 H-13 / Bell-47s come with good Korean war era pilot in leather jacket and patrol cap as well. 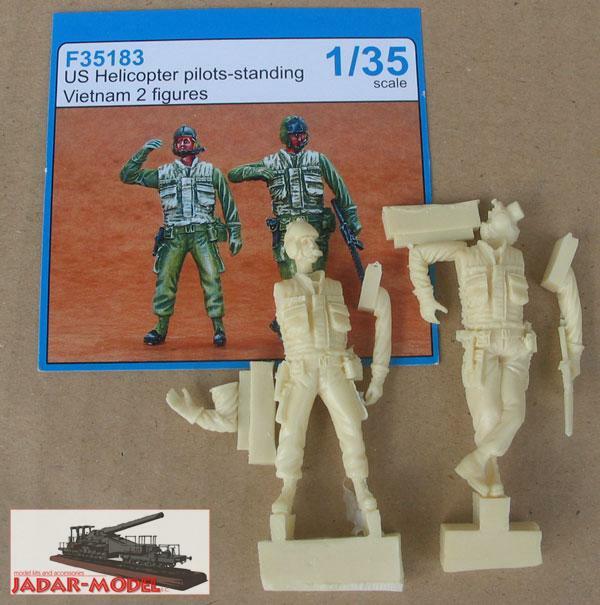 OH-6A comes with two guys form the DML Vietnam helo crew set too. The pilot with "WAR" on his helmet (Hugh Mills, actual pilot of Miss Claude IV) and the seated gunner. LAPD MD-500 comes with a pilot and sniper in the back as well. 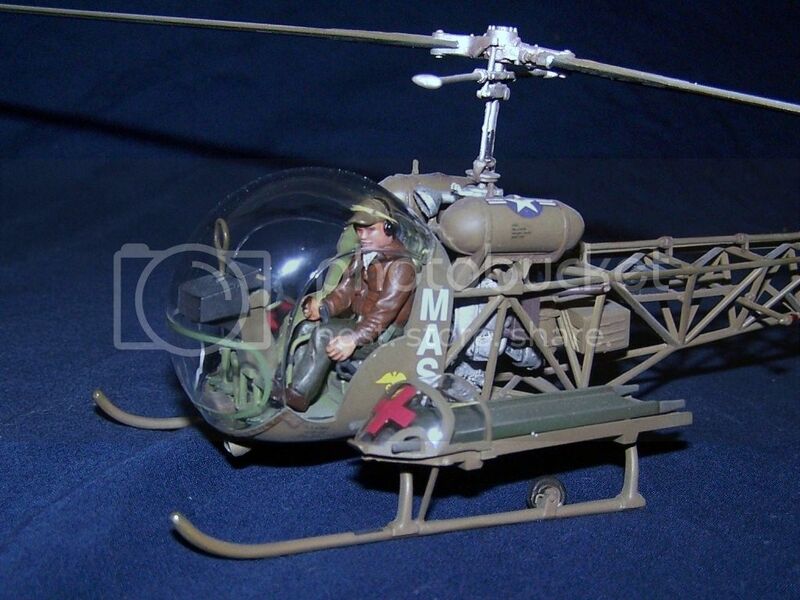 Bell-47 comes with a decent Korean-war ear pilot in leather jacket and ball cap-style hat. UH-1B/C models also come with a decent 4-man Vietnam era crew as well. Not as nice as the DML or Academy ones, but still very usable. 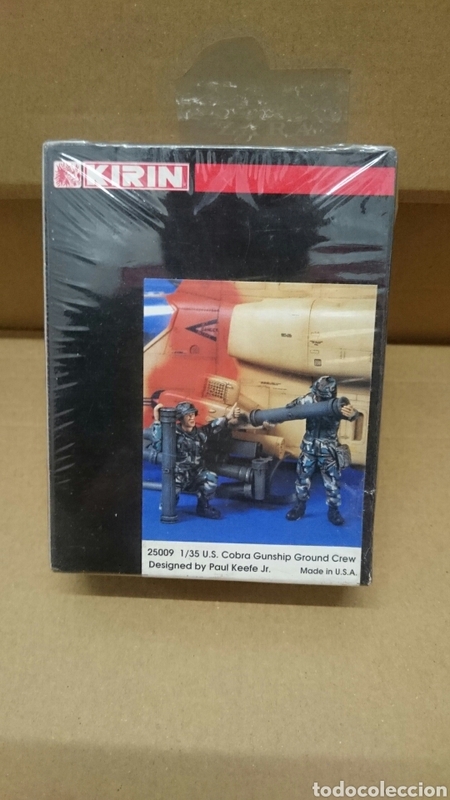 There are also a few sets to fill up your Russian MI-24, MI-8, or MI-4 as well. Bravo 6 has a set of Vietnam Helo pilots that look really nice. They come w/PE mike booms too. Nice addition. I thought Dougs Pilot was 48 scale .. did I get that wrong? Nope, Doug's pilot is 1/35. It should be available from Werner's Wings very soon too. Holy crap guys! ... If those choices don't get your Helo dios off the ground, I don't know what will!!! Thanks Mike. Hopefully it is a helpful thread. I have a couple of updates as well. US Heli Doorgunners w/M23 is a set of two very nice gunners w/the M23 doorgun system for a Huey. The set also includes PE boom mikes and PE for the guns. They also offer the M23 Doorguns as a separate set. 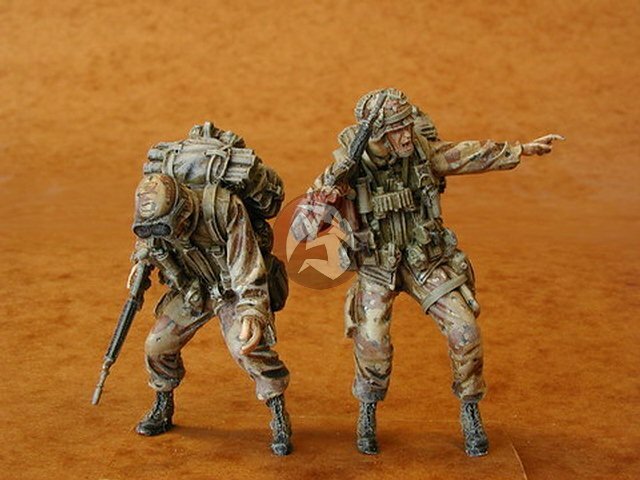 This is a new company out of France offering 3-D printed figures. The level of detail is awesome. 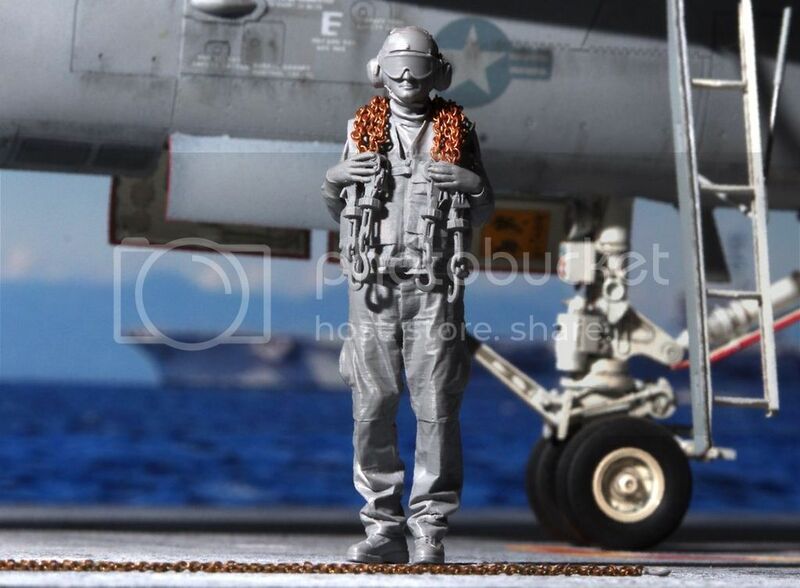 They are staring with modern US helicopter crewmen and some USN Carrier Deck Crewmen to go with the Academy MH-60S. You can find them at their website here. They have a bunch more planned, so keep an eye on them. 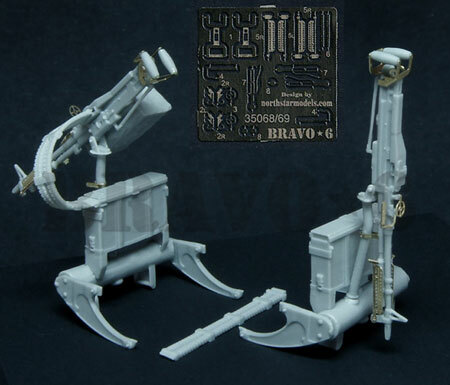 Bravo 6 new helo figure set reviews are available below. 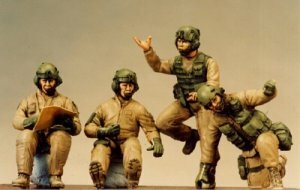 Live-Resin has released three sets of modern helo pilots and crewman heads wearing HGU-56 helmets in 1/35. Each set has six helmets/heads in it (three forward facing and 3 side looking). They include: no visor, visor, and visor w/maxillofacial shield. They also have a set of the NVGs and battery cases to mount on the helmets as well. Bonjour Gino, great job as always but it brings one question about the Live Resins heads. Where to find the rest of the bodies? Seated preferably? 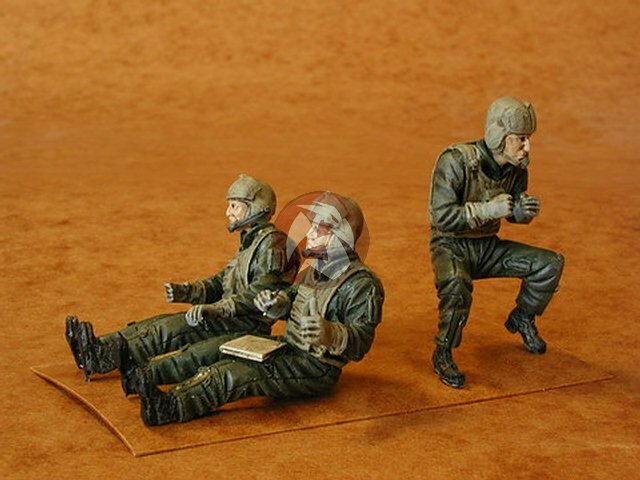 Reedoak now has seated, modern helo figures. Reedoak has quite a few figures now. The Live-Resin helmets could be used on the Academy OH-58D figures. I still think they are pretty good for modern(ish) figures. They still work for me since flight suits and body armor haven't changed that much. With new helmets, they should look great. Here are some pics of the Live-Resin resin heads. They look really good to me. Nice job. 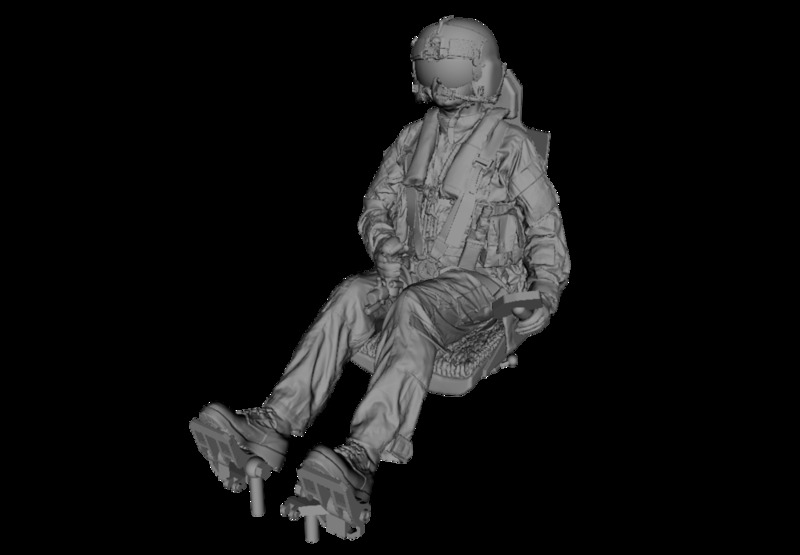 Let's say you want to add two pilots with NVG, is it more logical to add a head with the visor up or down? I've never seen it in a movie, then again there's so many errors in a war movie that I cannot trust them for this. NVGs are normally worn w/out the visor. I tried pulling up reedoak.com and I get nothing? 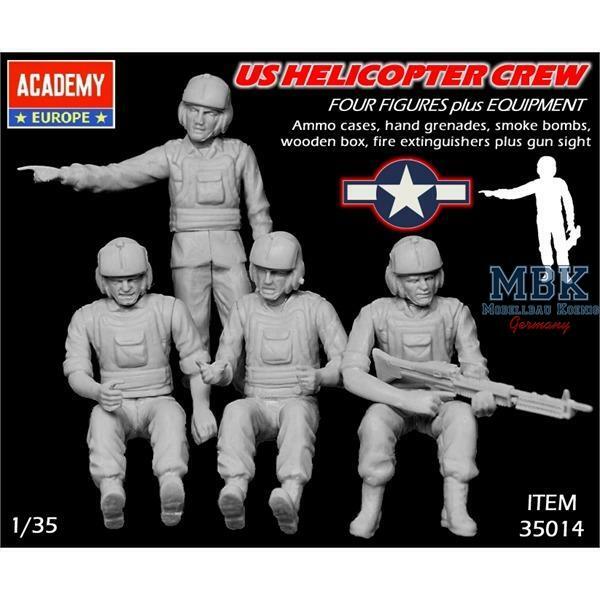 Trying to view/order helo figures. 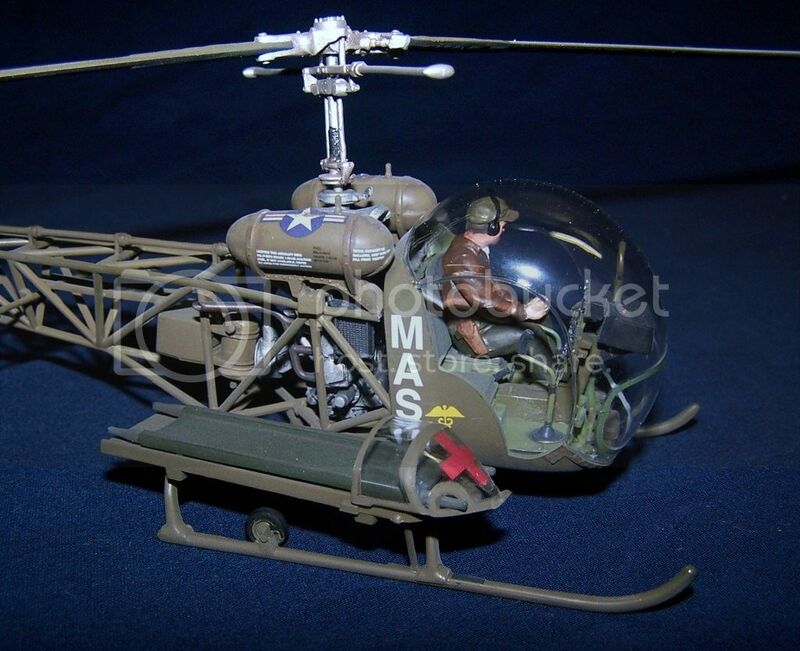 Reedoak has a couple more 1/35 Helo pilots available. US Army crew chief seated in the cargo door. He is wearing the maxillofacial shield on his helmet. There is also an option to get this figure without the maxillofacial shield. 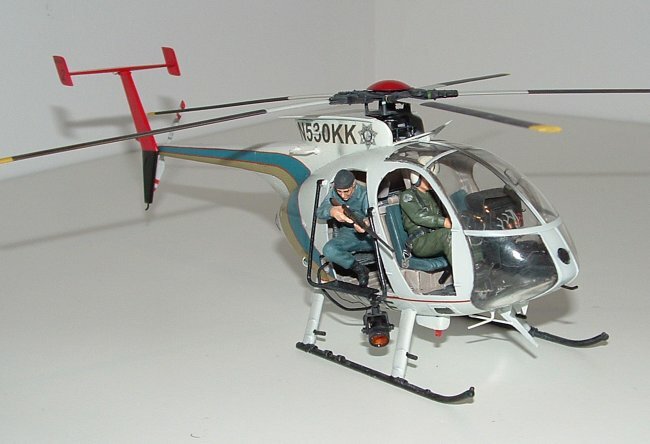 Keep an eye on Reedoak as they have more helo figures coming in the future. 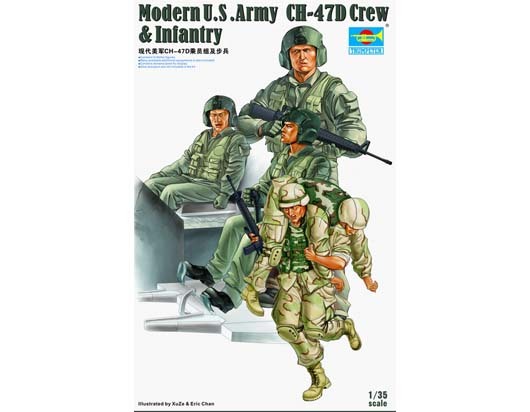 You can also use this as a Black Hawk or CH-47 crew. They are wearing nice flight vests. Changing heads with live resin ones. Bravo 6 announces two new figures. US Helo Crew (1) Saddlin' Up. A pair of helicopter crewmen preparing for flight in Vietnam. Would the ReedOak navy pilot and the deck crew fit the AH-1W in its late 80's-early 90's configuration (gray-black-green camo)? The deck crew would be fine for a late '80s to early '90s AH-1W. The pilot is probably too modern. I see, thank you Gino. I believe USMC/Navy helo pilots at the time were wearing the same helmet as the Army was; SPH-4. They were also wearing the same style survival vest. 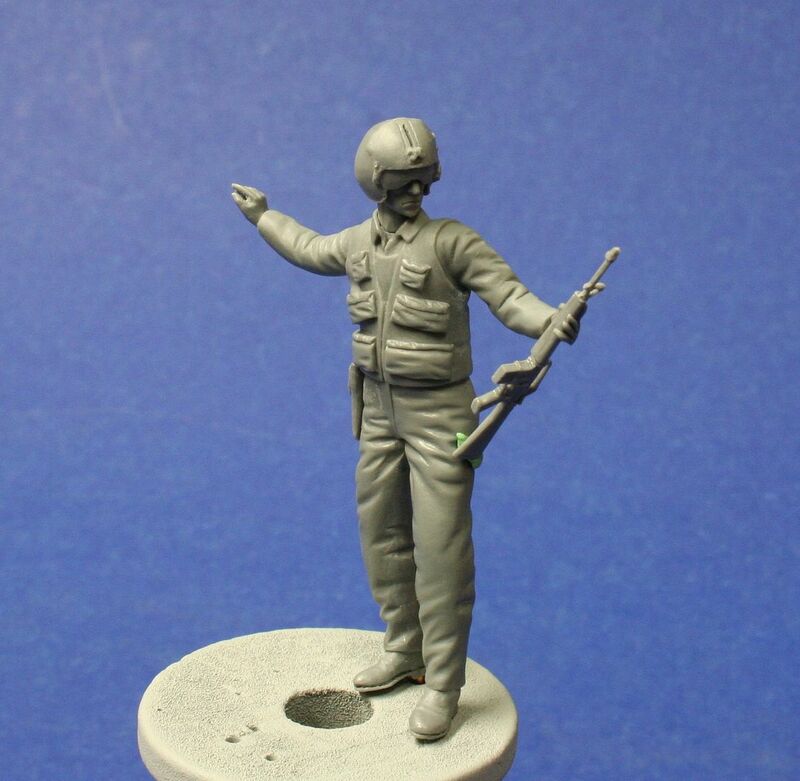 If that is the case, your best option may be the Verlinden Cobra Pilot figure. You may have to add a flotation collar for him though.